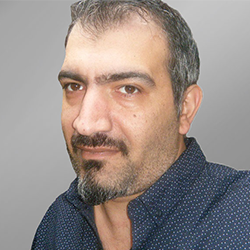 Vahe Nersesian is an Armenian cartoonist and co- founder of the Medialab.am since 2009. Despite the attempts of intimidation he continues to focus on Armenia and its issues. In his works he touches upon socio-political developments, corruption, oligarchs, and nepotism. Vahe illustrates books and textbooks. He is a director, script-writer, and illustrator of animated video-clips. Besides issues pertaining to Armenia, Vahe addresses international issues as well. His works have been among the best in various international competitions and exhibitions. In the last few years his works have been published on www.MediaLab.am, Comics.am and have drawn significant attention. Nersesian was a presenter on the panel GLOBAL ROUNDUP: How news organizations are using satire online around the world at ISOJ 2018 on Saturday, April 14 @ 11:15 a.m.